This was probably my least favorite of the Hemingway stories I have read thus far. The competition in that group is quite stiff, though, so that doesn’t mean this was a bad story. One thing about it that didn’t help was that the setting was that of horse racing, something I have never been able to get excited about. It always seemed to me to be a contest of “one rich guy’s expensive horse beating other rich guys’ expensive horses” – something I didn’t have a vested interest in. One of Hemingway’s earliest stories, it’s told by “Joe,” the twelve-year-old son of the title character, who is an aging jockey whose best years are behind him and who’s beginning to have to cut corners to remain competitive and to continue “earning.” The turning point, where the father “breaks bad” for good, is where he takes advantage of an unscrupulous tipster and a “fixed” race featuring the great horse, Kzar (a real – and legendary – European racehorse of the early 20th century). 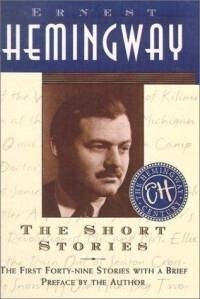 I own this story as part of my volume, Ernest Hemingway The Short Stories. Other stories of his that I’ve posted about are: “A Clean, Well-Lighted Place,” “Hills like White Elephants,” “Soldier’s Home,” and “The Snows of Kilimanjaro.” What are some of your favorite Hemingway stories? I read this short story as part of my 2013 Short Story Reading Project,”Deal Me in.” Here is a link to my page describing the project. I’m curious – Would you consider participating if I made it a public “Reading Challenge” in 2014? I have the same Hemingway collection and have read them all, several more than once. I agree that “My Old Man” is not one of my favorites but I do have several to which I am partial. If I had to pick only one to recommend, I would probably select ” The Short Happy Life of Francis Macomber” for its thought provoking nature. Much like “Indian Camp”, it lends itself to multiple interpretations depending on the reader’s age, experience, gender and perspective. I liked your summaryand commentary which, as usual, was concise, to the point and perceptive. I really felt for young Joe in the story above. I’m in for 2014! I started getting some stories together, but if it’s like last year, my list will change several times before the final one. “Short Happy Life” is a good Hemingway story. I’ll have to check out “My Old Man”. I’m not a horse racing fan, either, but since moving to Kentucky, I’ve started to have a mild interest in it. Very mild. Thanks for the recommendation of “Short Happy Life.” I’ll flag that one for future consideration. Bookmamas and the Irvington Library invite all of the Bibliophilopolis readers to a 150th birthday party for Indiana author and environmental movement leader Gene Stratton Porter on Saturday, August 17 at 1:30 at the Irvington branch library, 5625 East Washington. Hear a biographer speak about Gene, watch a dvd of her life and contributions and eat birthday cake! No reservations needed. 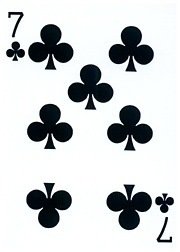 275-4500.